CBC Windsor featured three audience-submitted stories about what pride means to them ahead of Sunday's parade. Celebrations are underway for Pride in Windsor-Essex. 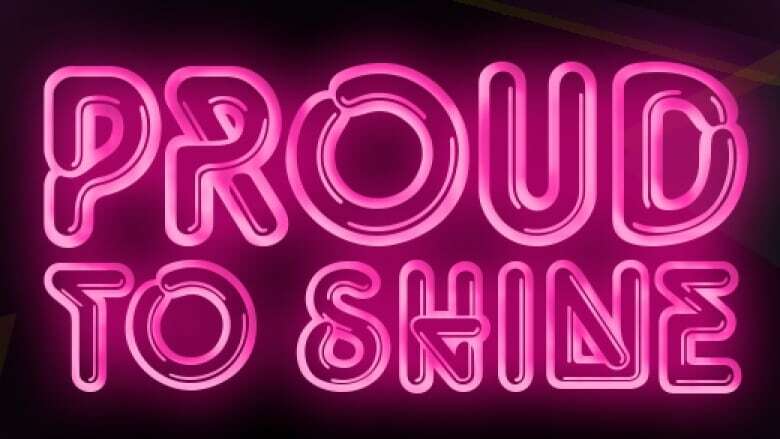 Ahead of the pride parade happening Sunday morning, CBC Windsor ran a Proud to Shine series, where we featured community members and explored what Pride means to them. At first, Renaud's then-daughter said when they were old enough to date, they would prefer to date the same gender. But later in the summer between grade six and grade seven, her child came to her and said there's something more. It wasn't just their future romantic interests. It was their gender identity. Bedingfield is a transgender woman living in Windsor. She used to live as a gay man, but it felt wrong to her. Looking back now, Bedingfield said the signs were there before, but it took learning more about what being a transgender woman means for her to start her own personal transition. Now, she's doing whatever she can to help others like her. While some teenagers face hardships after coming out to their family, Taley Banks had nothing but tenderness and endearment. She now writes poetry and she has also written a 13-page book that is being sold on Amazon called The Deserted Kids, which is written about a gay teenager who is trying to overcome hardships surrounding her sexual orientation.